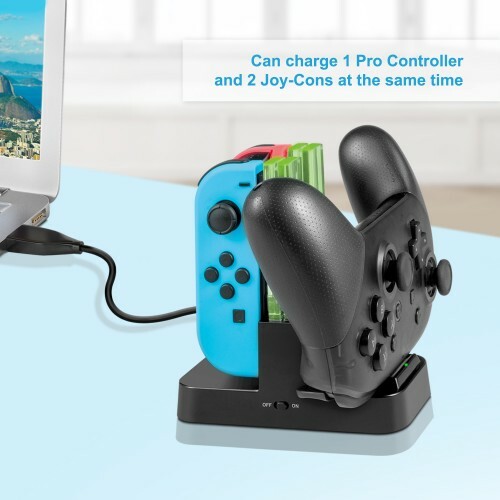 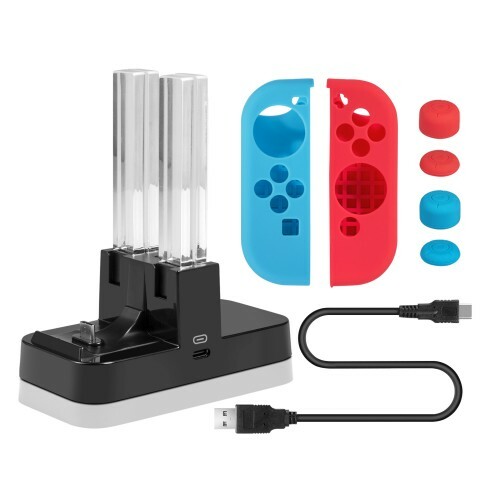 Charging Dock for Nintendo Switch Joy-Con, Keten 4 in 1 Charger Stand for Joy-Con and Pro Controller with Additional 6 in 1 Silicone Case and 1 USB Type-C Cable . 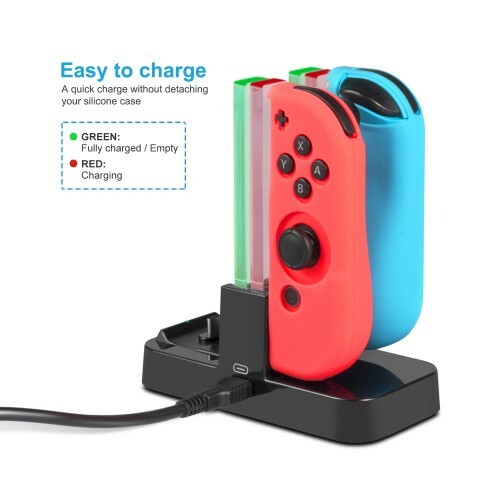 Easy to charge four Switch Joy-Cons or two Switch Joy-Cons and one Pro controller or two Pro controllers at the same time. 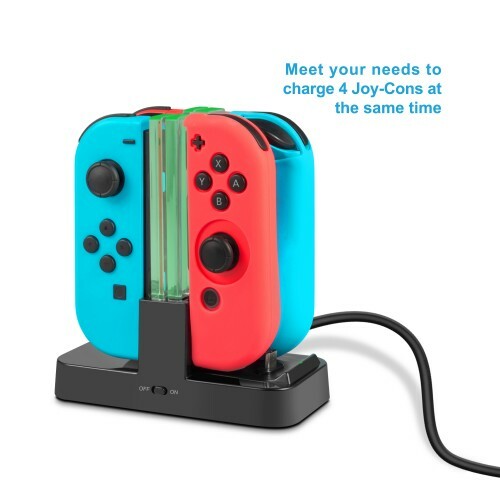 Made of 4 lampposts, they will indicate charge level for each Joy-Con. 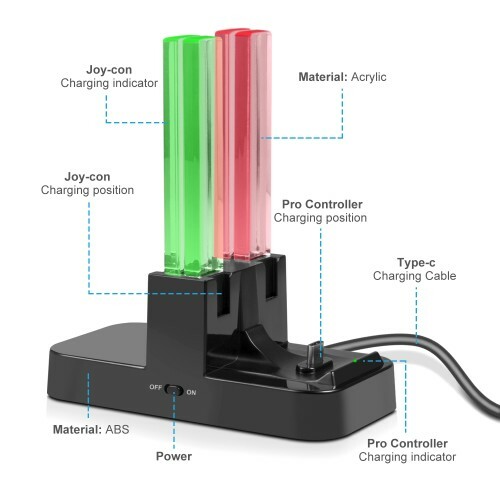 Coloured lampposts give you a visual impact. 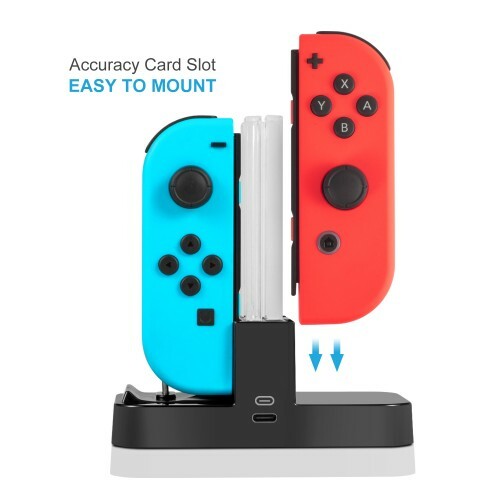 Easy slide-in design connects each Joy-Con / insert Pro Controller to charge. 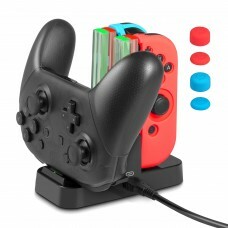 Weighted base for stability, can be used as a storage dock when not in use.